The Wizarding World star chats to us about joining TWD. The Walking Dead has been through a great change in Season 9. Angela Kang has taken the reigns of the series, with former showrunner Scott Gimple moving upstairs, and even bigger its lost a number of stars, including lead Andrew Lincoln (Rick Grimes), Lauren Cohan (Maggie Rhee), and Tom Payne (Paul 'Jesus' Rovia). With so many exits, there's also been the need to introduce some fresh blood. The Whisperers - a group who masquerade as walkers - have emerged as the main new threat to our heroes, while Magna's small band of survivors has arrived on the scene as well. This has meant a number of new actors too, and chief among them is Dan Fogler. Like The Walking Dead, Fogler's career has changed a lot in the last few years. He wasn't exactly an unknown, but since 2016 he's reached a new level, having starred in Fantastic Beasts and Where to Find Them and its sequel, 2018's The Crimes of Grindelwald, as Jacob Kowalski. Now he's swapped the Wizarding World for the apocalypse, playing Luke: a good-natured, music-loving member of Magna's group. 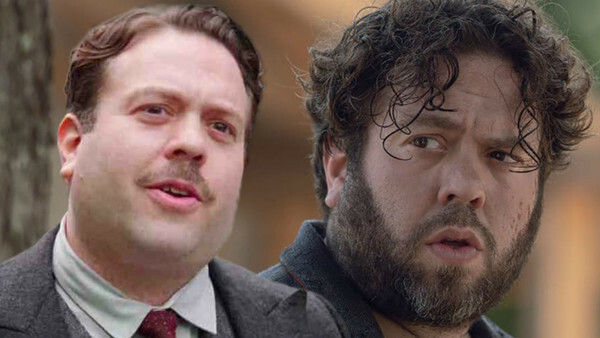 With the show returning from its mid-season break, we had a brief chat with Fogler about his new role, including fandoms, philosophising over art and cavemen, and the difference between walkers, Whisperers, and Grindelwald.